3 Bedroom Detached House For Sale in Tonbridge for Guide Price £600,000. 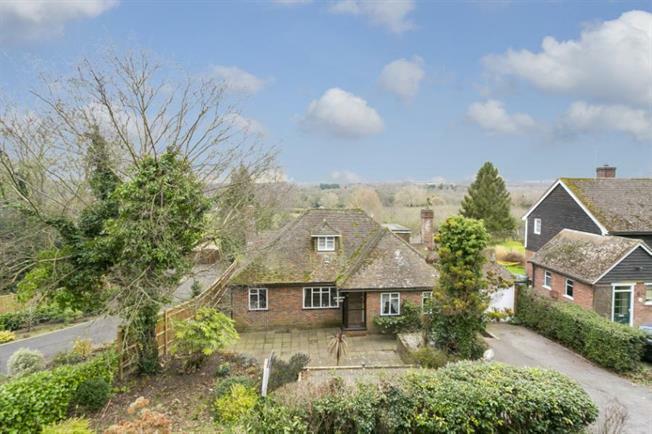 Freeman Forman are delighted to present this highly individual detached village property, with scope for an annex and far reaching south facing views. The property was built in the 1960's and offers versatile accommodation with ground floor and first floor bedroom arrangements, the master bedroom suite offers a stunning balcony to the rear which takes full advantage of the south facing orientation. A large conservatory leads off from the drawing room overlooking the garden. The property also offers a ground floor bathroom to accommodate the guest bedroom which could be turned into a Jack and Jill arrangement. Outside, tandem garage, ample off road parking and to the rear of the garage is a large utility area. Walking distance into village centre which offers bus routes into Tonbridge Wells and Tenterden. Viewing strongly advised. The property enjoys ample off road parking to the front, and leads to the garage. The rear garden is a particular feature of the property and is laid predominantly to lawn whilst being south facing and offering glorious countryside views. Brenchley village is one of the most sought after villages outside of Tunbridge Wells and with easy access to Paddock Wood. Brenchley village centre is most picturesque with period buildings, butchers, 12 century church, newsagents/post office, wine bar, Grays coffee shop, tennis courts, bowls club, football club, squash courts dentist and doctors surgery. Paddock Wood offers mainline station to London Charing Cross, Dover Priory, Waitrose supermarket, Putlands Sports Centre and shopping for everyday needs.